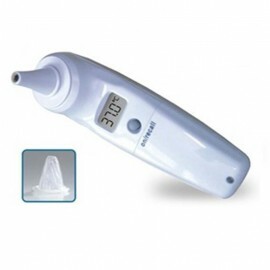 You can measure body temperature, also measure the temperature of surface, room, bath water, food, baby milk etc. 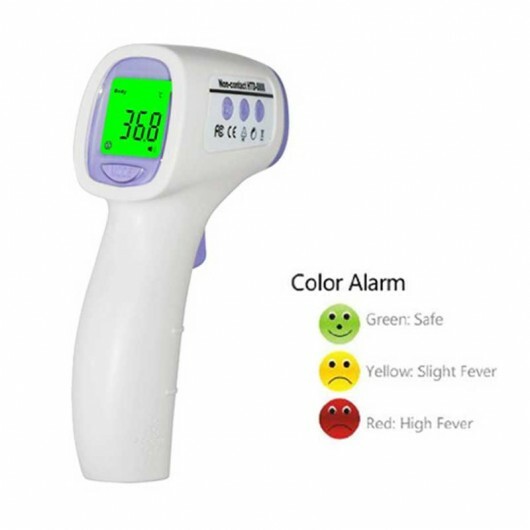 Non-contact infrared body thermometer with three-color backlight (color alarm): When the body temperature is normal, the backlight is Green, Yellow backlight for slight fever and Red backlight for high fever. Measuring range: Body: 32.0℃~42.9℃（89.6℉~109.2℉). Surface: 0.0℃~100.0℃（32.0℉~212.0℉ ). Unit: ℃/℉ can be changed by pressing button. Memory: 50 memory storage; Measure time: One second.